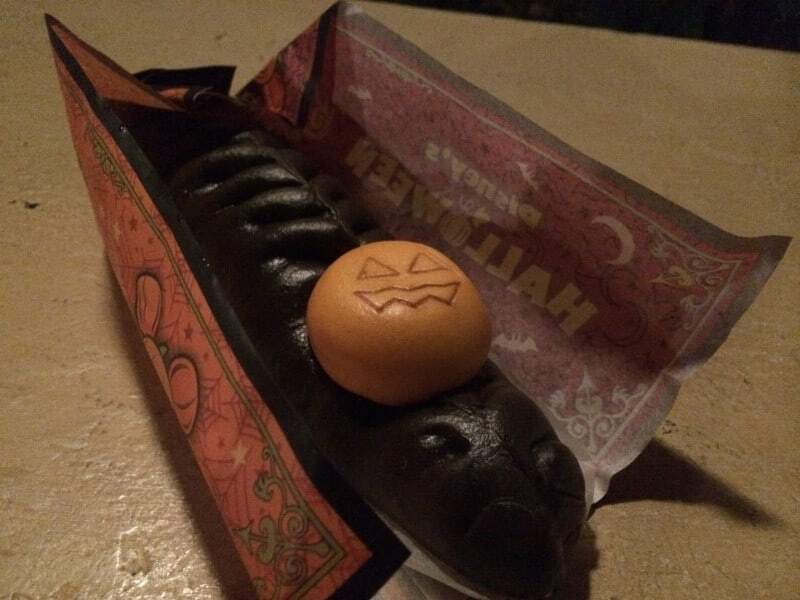 Making a return for Halloween this year at Tokyo DisneySea comes the Black Gyoza Bun. Available at the Refreshment Station in Mysterious Island for ￥550 for a limited time. Here is our review of this interesting coloured snack. Firstly, on the outside you get the Black Steamed Bun. Which is the same as previous years. The filling contains bamboo, water chestnut, carrot, and a spicy oil. There is a cute pumpkin on the top which is filled with chili sauce. This is different from previous years as it used to be filled with pumpkin cream. Yes, the inside is completely orange. 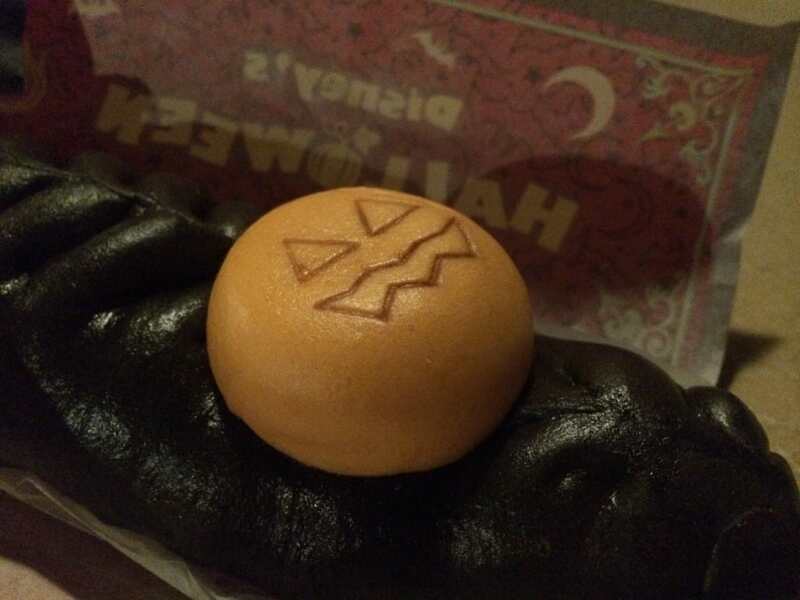 The noticeably black colour gives the bun a very unique look. Along with an orange pumpkin on top. 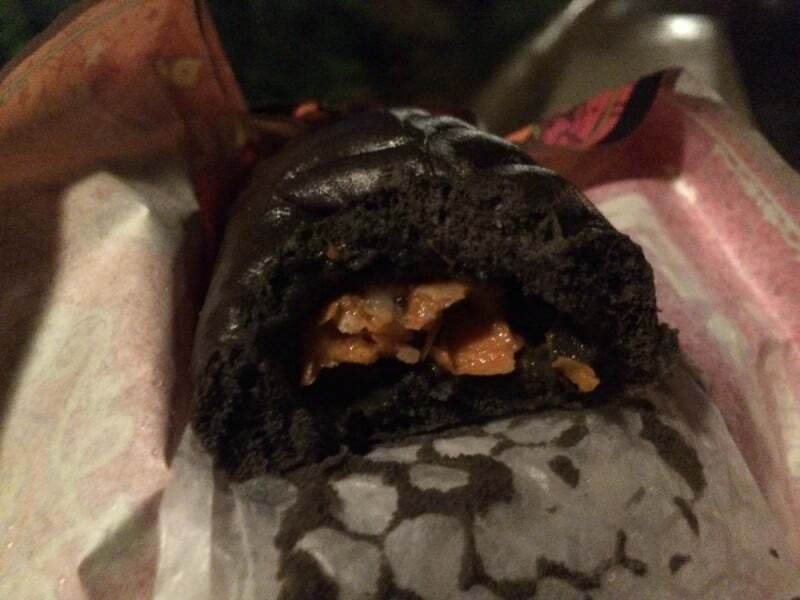 The filling inside the bun is an orange colour. The black colour is achieved by using squid ink. It also comes in a deltailed New York Halloween Follies wrapper. You do not taste the “black flavour”, but you can taste the spicy oil that it inside. Do not let the bamboo and water chestnut turn you off. They add a nice texture and flavour overall. The pumpkin also has a bit of spice to it with the chili sauce. 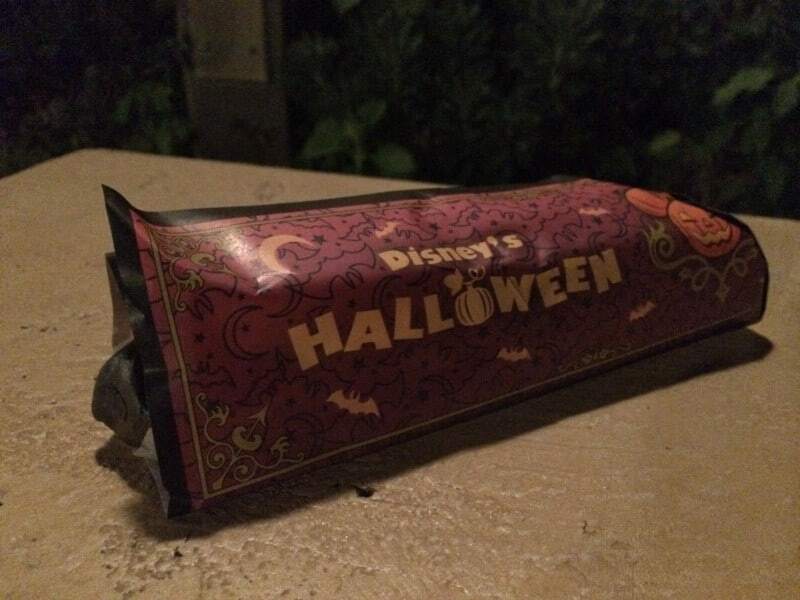 The packaging is even themed. They spare no expense. For ￥550 (which is more than the normal price of ￥430 for the normal gyoza) it is a bit expensive for a snack. But the black and orange colour makes it hard to resist the temptation. If you’re a fan of the gyoza bun or simply want to have a unique snack, then you have to try this. Available until October 31st. If you enjoyed this review, check out our other food reviews. Make sure to subscribe to keep up to date with everything happening at Tokyo Disney Resort!